Shigeru Miyamoto is one of the most celebrated game designers in video game history, but now he has a new title he can throw on his resume: film director. 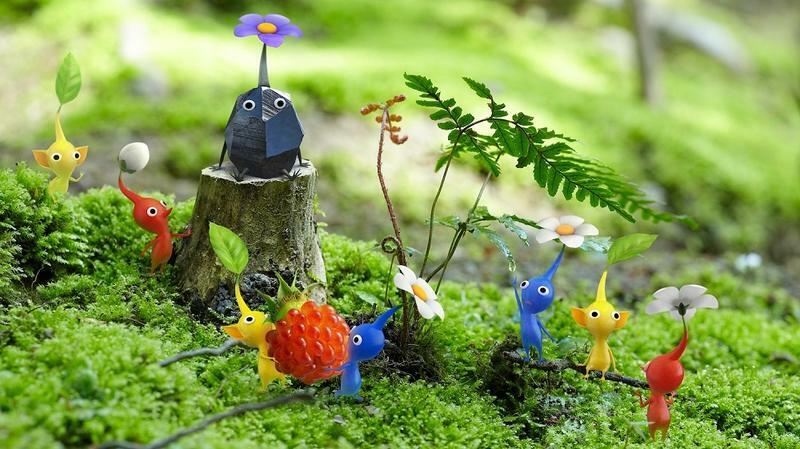 A handful of short films Miyamoto created called Pikmin Short Movies will debut at the Tokyo Film Festival on October 25th-31st, and at some point during that frame, Miyamoto will work with Dwango and its streaming service Nico Nico Douga to put it out there for fans. Pikmin Short Movies is home to three short cartoons, one titled "The Night Juicer" in which Captain Olimar has horrifying ideas of blending Pikmin together… in an actual blender, "Treasures in a Bottle" involving a treasure hunt, and "Occupational Hazards" which revolve around the hilarious idea of Pikmin being injured on the job at construction sites. Man, who thought Miyamoto could have such a dark, sadistic sense of humor? Work related accidents and blending defenseless animals… sounds like YouTube laugh fodder for the sick and weird. Miyamoto has been working on the shorts for quite some time, and they were originally supposed to be available tthroughthe Wii U in preparation for Pikmin 3's release. They've been MIA, so it's nice to see them finally reemerge. We'll keep an eye out for the streams, so stay tuned on October 25th-31st.